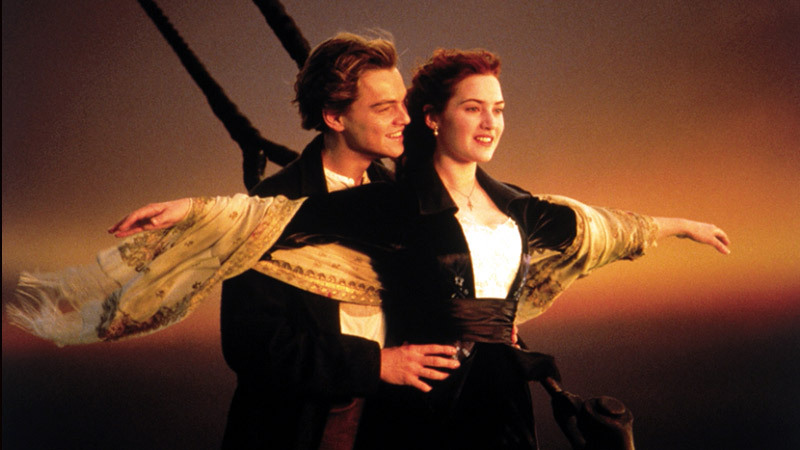 The footage shown during the invite-only presentation at Paramount Studios included eight scenes, spanning from Kate Winslet’s well-to-do Rose looking up at the Titanic for the first time to the moment when the stern dramatically plunges into the sea at a 90-degree angle, as well as the iconic scene of Rose and Leonardo DiCaprio’s drifter Jack embracing on the bow. In the scenes previewed Friday, the 3-D footage showcased the conversion’s visual reinvigoration of the existing material, especially during moments involving depth, such as a car being slowly hoisted onto the deck of the ship or Jack anxiously awaiting Rose at the bottom of a grand staircase amid a series of columns that seemingly jut out of the screen. Cameron said that DiCaprio and Winslet have yet to see the 3-D footage of “Titanic,” but he has spoken with Winslet about the project, and she is “on board.” He hasn’t talked to DiCaprio about the rerelease because he’s been busy shooting “The Great Gatsby” in Australia but he hopes to reconnect with the “J. Edgar” star soon. Cameron said that it will take 300 artists 60 weeks at a cost of $18 million to create the 3-D version of “Titanic,” which won’t include any new material. Landau noted that the film will also be rereleased in 2-D and that the “2-D is going to be a better print than anything we could have done at the time” because they have since created a “digital master” of the film. Paramount Pictures and 20th Century Fox are set to rerelease “Titanic” on April 6, 2012, to coincide with the 100th anniversary of the Titanic setting sail on April 10, 1912. After it debuted in 1997, “Titanic” won 11 Academy Awards and grossed more than $1.8 billion worldwide, second only to Cameron’s “Avatar,” which was filmed in 3-D and released in 2009.